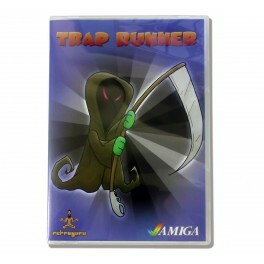 12-04-2019: Trap Runner for Amiga Classic computers with 1MB of RAM in stock! 09-04-2019: SUM A1200 Keyboard adapter back in stock! 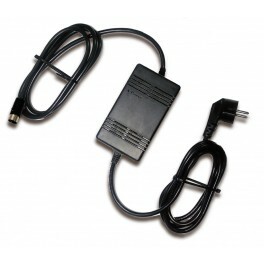 Adaptador de teclado SUM A1200 en stock! 09-04-2019: RYS MKIII USB adapter for Amiga, Atari, and Commodore 64 back in stock! 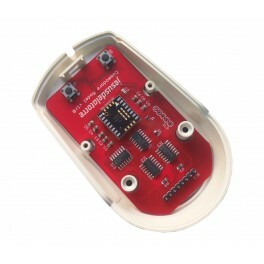 08-04-2019: Joypad Boomerang B103 back in stock! 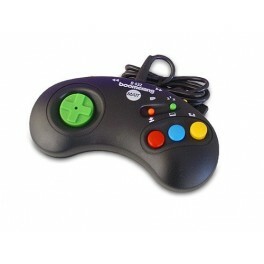 / Joypad Boomerang 103 de nuevo en stock! 08-04-2019: Joypad Boomerang B603 back in stock! / Joypad Boomerang B603 de nuevo en stock! 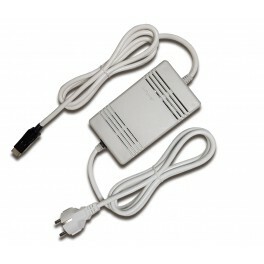 05-04-2019: New A-Power CD32 PSU for Amiga CD32 in stock / Nueva A-Power CD32 en stock! 30-03-2019: Amiga 1200 8MB Fast RAM Expansion in stock! / Ampliación 8MB Amiga 1200 en stock! 28-03-2019: Amiga 1200 adapter to fix the PCMCIA bug in stock! 25-03-2019: SuperPLA V4 in stock! / SuperPLA V4 en stock! 21-03-2019: MousePad 'Boing Ball' in stock! / Afombrilla Boing Ball en stock! 20-03-2019: Lizard King, music compilation of golden Amiga years back in stock! 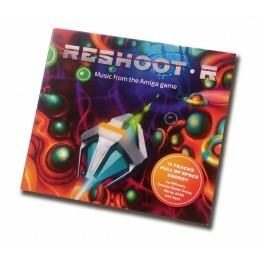 15-03-2019: RESHOOT R Soundtrack in stock! / RESHOOT R Soundtrack en stock! 14-01-2019: Amiga Future 137 in stock / Amiga Future 137 en stock! 11-03-2019: Immortal 4 by Jan Zottmann back in stock! / Immortal 4 de nuevo en stock! 08-03-2018: New Wicher for CD32 in stock! / Nueva Wicher para CD32 en stock! 07-03-2019: Amiga USB Stick in stock / Lapiz USB Amiga en stock! 04-03-2019: Paradise: transfer files between your Amiga and PC through the parallel port. 02-03-2019: Wicher 500i Rev.2c for Amiga 500 back in stock! 01-03-2019: 3,5" Bay Kit for SCSI2SD adapters available! 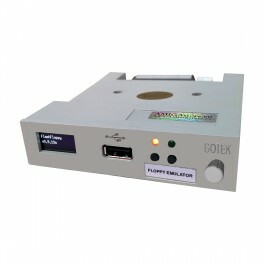 28-03-2019: Rotary encoder selector available as option with standard Gotek floppy emulators! 27-02-2019: Immortal 3 by Jan Zottmann back in stock! / Immortal 3 de nuevo en stock! 23-02-2019: New Black version of A-Power PSU for Amiga 500, 500+, 600, and A1200 in stock! 22-02-2019: 'TDK' Knight – Reawakening chiptune album back in stock! 15-02-2019: Agnus 8375 R2 for Amiga Computers PAL version in stock! 13-02-2019: MousePad 'Amiga 500 Red Motherboard' in stock! 10-02-2019: New Lyra 3 keyboard adapter for Amiga 1200 in stock! 06-02-2019: Amiga Forever 8 Premium Edition in stock! 06-02-2019: C64 Forever 8 Plus Edition in stock! 01-02-2019: New A3000 insulation layer for Amiga 3000 in stock! 30-01-2019: Furia accelerator for A600 again in stock! / Furia para Amiga 600 en stock! 17-01-2019: New brand insulation layers for Amiga 500, 600, 1200, and 4000 in stock! 12-01-2019: New version of the Laser upgrade for Amiga 600/1200/4000 mice in stock! 11-01-2019: Commodore 12V power supply in stock! / Fuente de alimentación de Commodore! 07-01-2019: Amiga Future 136 in stock / Amiga Future 136 en stock! 06-01-2019: A-Power PSU for Amiga 500, 500+, 600, and A1200 in stock! 04-01-2019: "We're Back" limited edition Poster by Paul Kitching in stock! 03-01-2019: Kargon for Amiga 1MB in stock! - Kargon para Amiga 1MB en stock! 01-01-2019: Happy new year from AMIGAstore! / Feliz 2019 a todos desde AMIGAstore! 25-12-2018: Merry Christmas to all! / Feliz Navidad a todos! 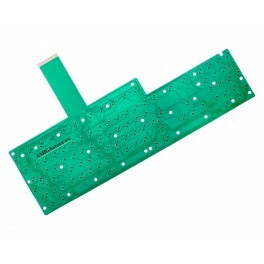 22-12-2018: Keyboard membranes for Amiga 500, 600, and 1200 in stock! 22-12-2018: Iron Gate's A Christmas Carol in stock! - Cuento de Navidad de Iron Gate en stock! 16-12-2018: Internal Gotek for Amiga 500/600/1200 in stock! 04-12-2018: Amiga 500/600/1200 Power Supply HQ in stock! 02-12-2018: Amiga Logo Mug in stock / Taza Amiga en stock! 22-11-2018: Micromys V5 mouse adapter in stock / Mycromys V5 en stock! 20-11-2018: X-Surf-500 ethernet card for ACA500 and ACA500plus in stock! 19-11-2018: RYS MKIII USB adapter for Amiga, Atari, and Commodore 64 in stock again! 13-11-2018: New Wicher 500i Rev2c for Amiga 500 including CPU and memory in stock! 12-11-2018: New production of the old barrel type batteries in stock! 05-11-2018: Amiga Future 135 in stock / Amiga Future 135 en stock! 01-11-2018: A604n for Amiga 600 back in stock! / La ampliación A604n de nuevo en stock! 26-10-2018: Home Computer double CD - By 'Press on Play Tape' in stock! 25-10-2018: Lizard King, music compilation of golden Amiga years in stock! 15-10-2018: Commodore and ATARI HQ S-Video and composite Audio-Video Cable in stock! 08-10-2018: Channel Mixing Headphone Amplifier in stock! 06-10-2018: Last batch of the Laser upgrade for Amiga mice in stock! 26-09-2018: New SCSI to MicroSD adapters in stock! Adaptadores SCSI a microSD en stock! 13-10-2018: Vampire 600 V2.1 again in stock! / Vampire 600 V2.1 de nuevo en stock! 11-09-2018: Amiga Future 134 in stock / Amiga Future 134 en stock! 10-09-2018: Capacitor Pack for Picasso II in stock! - Pack de condensadores para Picasso II en stock! 01-09-2018: Iron Gate's Furtum Sacrum in stock! - Furtum Sacrum de Iron Gate en stock! 29-08-2018: Mini Hydra, SCART switch in stock / Conmutador de Euroconector Mini Hydra en stock! 27-08-2018: RYS MKIII USB adapter for Amiga, Atari, and Commodore 64 in stock again! 14-08-2018: New Amiga 2000 rev4 Kickstart ROM adapter in stock!! 05-08-2018: ZX-UNO 41 in stock! / ZX-UNO en stock! 04-08-2018: New Laser upgrade for Atari STM1 mouse in stock! 02-08-2018: Adapter to connect analog PC joysticks to your Amiga or AtariST in stock! 01-08-2018: Mini SWAT in stock! / Mini SWAT de Amiga Wave en stock! 31-07-2018: Amiga Wave's 'First Blood' in stock! / 'Acorralado' de Amiga Wave en stock! 09-07-2018: Amiga Future 133 in stock / Amiga Future 133 en stock! 08-07-2018: Joystick AFF Kolor multiplatform again in stock! Joystick AFF Kolor de nuevo en stock! 07-07-2018: New Vampire 600 V2.1 in stock! / Nueva Vampire 600 V2.1 en stock! 06-07-2018: Furia accelerator for A600 again in stock! / Furia para Amiga 600 en stock! 05-07-2018: Brand new Amiga 1200 cases from new Molds in stock! / Carcasas Amiga 1200 en stock! 04-07-2018: MIDI Interface for all Amiga models in stock! / Interfaz MIDI para Amiga en stock! 03-07-2018: PCMCIA 90º Angled Adapter for Amiga 1200 and Amiga 600 again in stock! 02-07-2018: Skorpion Convertible Joystick for Amiga again in stock! / Joystick Skorpion en stock! 01-07-2018: Boomerang B432 CD32 for Amiga in stock! / Boomerang B432 para Amiga y CD32 en stock! 26-06-2018: New Keyrah V2b version in stock! / La nueva versión V2b de Keyrah en stock! 25-06-2018: AmigaOS Notepad with the classic AmigaOS Logo in stock! 23-06-2018: Official MousePad of A1K with AMIGA "Tick" in stock! 22-06-2018: The Piano Collection, by Chris Huelsbeck in stock! 22-06-2018: Ninja Musicology. a music tribute to "The Last Ninja™ in stock! 17-06-2018: New Amstrad Joystick splitter for two joystickw games in stock! 16-06-2018: Reshoot for standar Amiga AGA computers again in stock! / Reshoot en stock! 14-06-2018: Amiga Poker cards again in stock! / Baraja de Amiga de nuevo en stock! 08-06-2018: CD32 expansion in stock! / Expansión para CD32 en stock! 05-06-2018: Luna3 for Commodore c64 again in stock! 03-06-2018: Cyclone RX adapter for Sony Playstation controllers in stock! 25-05-2018: Last production of BigRAMPlus available at AMIGAstore! 21-05-2018: Indivision AGA MK2cr 1200/4000T again in stock! 15-05-2018: Tapuino Reloaded in stock! / Tapuino Reloaded disponible! 10-05-2018: Last batch of Vampire V2 for Amiga 500 in stock! 07-05-2018: Amiga Future 132 in stock / Amiga Future 132 en stock! 07-05-2018: New batch of Furia accelerators for A600 available! / Furia para Amiga 600 en stock! 27-04-2018: Eject button replacement for Sony Floppy disk drives in stock! 25-04-2018: Last batch of Vampire V2 for Amiga 500 in stock! 20-04-2018: C64 Reloaded MK2 in stock! 20-04-2018: Last batch of Wicher 500i for Amiga 500 including CPU and memory in stock! 03-04-2018: Last batch of the Laser upgrade for Amiga mice in stock! 20-03-2018: MIDI Interface for all Amiga models again in stock! 08-03-2018: Last batch of Vampire V2 for Amiga 500 in stock! 06-03-2018: Amiga Future 131 in stock / Amiga Future 131 en stock! 12-02-2018: The new batch of SCSI to MicroSD adapters in stock! 09-02-2018: Last batch of Wicher 500i for Amiga 500 including CPU and memory in stock! 05-02-2018: Amiga Wave's Else We Get Mad! in stock! / Y Si No Nos Enfadamos en stock! 02-02-2018: New Buddha Flash IDE controller for all Amiga with Zorro slots in stock! 24-01-2018: New batch of Furia accelerators for A600 available! / Furia para Amiga 600 en stock! 22-01-2018: Motorola Math co-processor MC68882FN40A again in stock! 15-01-2018: Amiga Future 130 in stock / Amiga Future 130 en stock! 01-01-2018: Happy new year from AMIGAstore! / Feliz 2018 a todos desde AMIGAstore! 28-12-2017: New production of 4 Player Interface for Commodore 64/128 again in stock! 25-12-2017: Merry Christmas to all! / Feliz Navidad a todos! 21-12-2017: Competition Pro joystick again in stock! 14-12-2017: RYS MKIII USB adapter for Amiga, Atari, and Commodore 64 in stock again! 27-11-2017: Last batch of Wicher 500i for Amiga 500 including CPU and memory in stock! 19-11-2017: New FlashFloppy firmware available for Gotek! / FlashFloppy para Gotek disponible! 16-11-2017: IDE4 Z2 for Amiga 2000 / Controladora IDE4 Z2 para Amiga 2000 en stock! 14-11-2017: Amiga Future 129 in stock / Amiga Future 129 en stock! 06-11-2017: Retro Wars - Episode IV in English language in stock! 27-10-2017: Rys MKII USB adapter again in stock!/ Adaptador RYS de nuevo en stock! 17-10-2017: SCSI to Micro SD adapter in stock now! / SCSI to Micro SD adapter en stock! 01-10-2017: Vampire 500 V2+ for Amiga 500 in stock now! / Vampire 500 V2+ en stock! 23-09-2017: New Amiga 500 rev5 Kickstart ROM adapter in stock! 21-09-2017: New PLCC Motorola Math co-processor MC68882FN40A in stock! 16-09-2017: Wicher 500i for Amiga 500 including CPU and memory in stock! 14-09-2017: Amiga Future 128 in stock / Amiga Future 128 en stock! 25-07-2017: Amiga Forever 7 Premium Edition in stock! 25-07-2017: C64 Forever 7 Plus Edition in stock! 17-07-2017: MIDI Interface for all Amiga models in stock! 13-07-2017: PCMCIA 90º Angled Adapter for Amiga 1200 and Amiga 600 in stock! 05-07-2017: Amiga Future 127 in stock / Amiga Future 127 en stock! 23-06-2017: New Amiga 1200 BlackBOX Tower in stock! / Nueva Torre BlackBOX para Amiga A1200! 01-06-2017: New A512 expansion for Amiga 500 and 500 Plus in stock! 08-05-2017: Amiga Future 126 in stock / Amiga Future 126 en stock! 05-05-2017: Petaco´5 pinball game for Commodore 64 in stock! 04-05-2017: Recuerdos de Commodore book in stock! 15-04-2017: ROM 2.05 for Amiga 600/500/2000 in stock / ROM 2.05 para Amiga 600/500/2000. 14-04-2017: Genuine screws for Amiga 500 / Tornillos originales de Amiga 500. 13-03-2017: Sum A234/CD32 adapter for Amiga 2000/3000/4000 in stock! 12-03-2017: Joypad Boomerang B103 in stock! / Joypad Boomerang 103 en stock! 03-04-2017: New PCMCIA wireless card for A1200 and A600 in stock! 26-03-2017: Joypad Boomerang B101 in stock! / Joypad Boomerang 101 en stock! 24-03-2017: Joypad Boomerang B603 in stock! / Joypad Boomerang B603 en stock! 23-03-2017: Boomerang B432, the CD32 joypad in stock! / Boomerang B432 para CD32 en stock! 19-03-2017: Retro Wars Epsisode IV ¼ in stock! / Retro Wars Episodio IV ¼ en stock! 06-03-2017: Amiga Future 125 in stock / Amiga Future 125 en stock! 12-02-2017: Hydra, the ultimate SCART-S-Video-Composite switch in stock! 17-01-2017: Amiga Future 124 in stock / Amiga Future 124 en stock! 31-12-2016: Happy new year from AMIGAstore! / Feliz 2017 a todos desde AMIGAstore! 24-12-2016: Merry Christmas to all! / Feliz Navidad a todos! 23-12-2016: Nordic Replay in stock! / Nordic Replay en stock! 14-12-2016: CSG8701 replacement por Commodore computers in stock! 12-12-2016: New Kickstrt ROM 3.X v45.064 in stock! Nueva versión del Kickstart 3.X en stock!. 10-12-2016: SD Configuration for MiST / Configuración SD para MiST. 08-12-2016: Genuine screws for Amiga / Tornillos originales de Amiga. 01-12-2016: Indivision AGA MK2cr 1200/4000T available on December 14th. 10-11-2016: New ACA1221ec in stock / Nueva ACA1221ec en stock! 07-11-2016: Amiga Future 123 in stock / Amiga Future 123 en stock! 03-11-2016: New FastATA 4000 MK-VII Black Edition in stock! / Nueva FastATA 4000 en stock! 02-11-2016: New ACA1221ec available on November 10th / Nueva ACA1221ec disponible el día 10! 06-09-2016: Amiga Future 122 in stock / Amiga Future 122 en stock! 18-07-2016: ACA 1233n/40MHz 128MB in stock! / ACA 1233n/40MHz 128MB en stock! 11-07-2016: Amiga Future 120 in stock (English and German) / Amiga Future 120 en stock! 18-06-2016: Mediator 4000D 3V MK-III in stock! / Nueva Mediator 4000D 3V MK-III en stock! 17-06-2016: Relokick, ROM 1.3 in diskette in stock! / Relokick, ROM 1.3 en disquete en stock! 12-06-2016: New A500Flash 1MB in stock / Nueva A500Flash 1MB en stock! 26-05-2016: New floppy drives with redesigned eject button! / Nuevas versiones de disqueteras! 24-05-2016: A604n for Amiga 600 back in stock! / La ampliación A604n para A600 en stock! 18-05-2016: Skorpion convertible Joystick in stock! / Joystick Skorpion en stock! 17-05-2016: Compatible Compact Flash for Furia turbocard available as option! 09-05-2016: BigRamPlus, memory expansion with 256 MB for Zorro-III Amiga computers in stock! 09-05-2016: Amiga Future 120 in stock (English and German) / Amiga Future 120 en stock! 05-05-2016: New NetUsBee, network adapter and USB controller for Atari ST, STe, Falcon, and TT! 15-04-2016: New DF0 Selector for Amiga 500/500+/2000/3000 in stock! 30-03-2016: Mediator A4000Di 3v Balck edition in stock! / Nueva Mediator A4000Di en stock! 26-03-2016: Original (NOS) A1200 PSU in stock! / Fuentes de alimentación originales de A1200 en stock! 26-03-2016: Original (NOS) A1200 keyboards in stock! / Teclados originales (NOS) de A1200 en stock! 26-03-2016: Original (NOS) Amiga 1200 cases in stock! 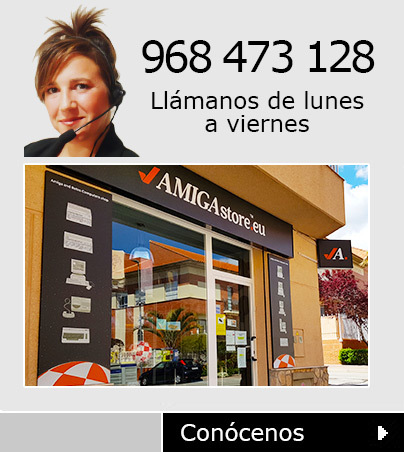 / Carcasas (NOS) de A1200 en stock! 07-03-2016: Amiga Future 119 in stock! / Amiga Future 119 en stock! 04-03-2016: New Gotek version with 2 LEDs in stock! / Nueva version de la Gotek con 2 LEDs en stock! 16-02-2016: New Furia accelerator for A600 in stock! / Furia para Amiga 600 en stock! 15-02-2016: Mediator PCI 1200 TX Black in stock! / Mediator PCI 1200 TX Black en stock! 22-01-2016: Amiga Future 118 in stock! / Amiga Future 118 en stock! 14-01-2016: FastATA 4000 MK-IV available again! / FastATA 4000 MK-IV de nuevo en stock!